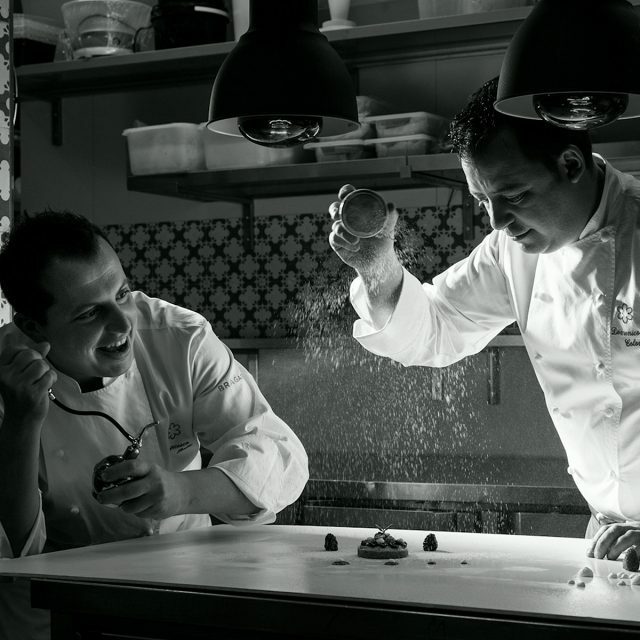 The chefs Domenico Colonnetta and Francesco Patti grew professionally in the restaurant Duomo in Ragusa Ibla (RG), as part of Ciccio Sultano’s team. In 2008 they decided to begin a new adventure, opening a restaurant all of their very own in Caltagirone. They were an immediate success and their cuisine was soon noticed by critics and gourmets, receiving the culinary recognition of a Michelin Star. Born in Reggio Calabria in 1980, he comes from a family with cooking in its blood. His grandfather Paolo, in the post-war period, was one of the most famous chefs in Palazzolo Acreide (SR), while his grandmother had an oven in which all kinds of things were prepared, both sweet and savoury dishes. When he was little, Domenico used to spend his days at the table, commenting – as a budding critic – on the cooking of his mother, his favourite chef. After having attended high school at the professional Hotel training institute in Modica, the homeland of the famous chocolate of the same name, he had the opportunity to gain important experience with important Italian and international chefs. Among his experiences, Villa Davide in Vittoria, Hotel Tarquina in Roma, Santini Country in Milan. In 2003, he began at Cicco Sultano’s Duomo, in the role of Second Chef, where he honed his art, up to the moment when he decided to open a restaurant of his own. 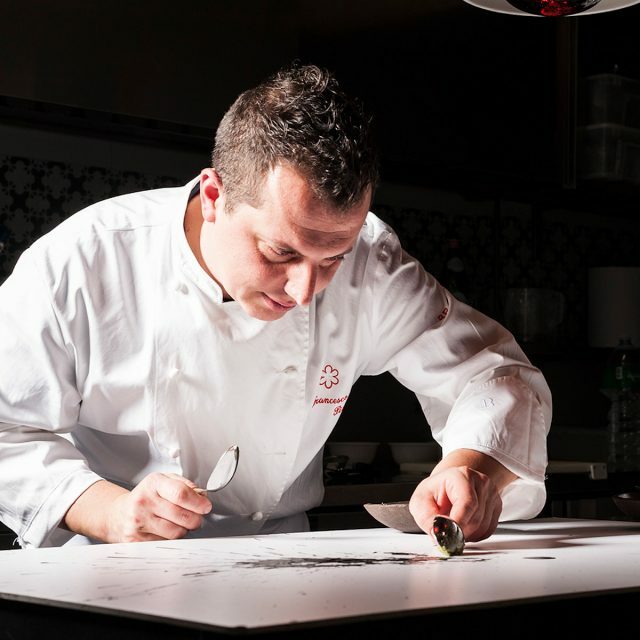 Born in Caltagirone in 1983, he took his first steps in the restaurant world even before he could walk. As a baby, he would have fun playing with kitchen utensils and ingredients, to the joy of his father Giacomo, who was a food lover. 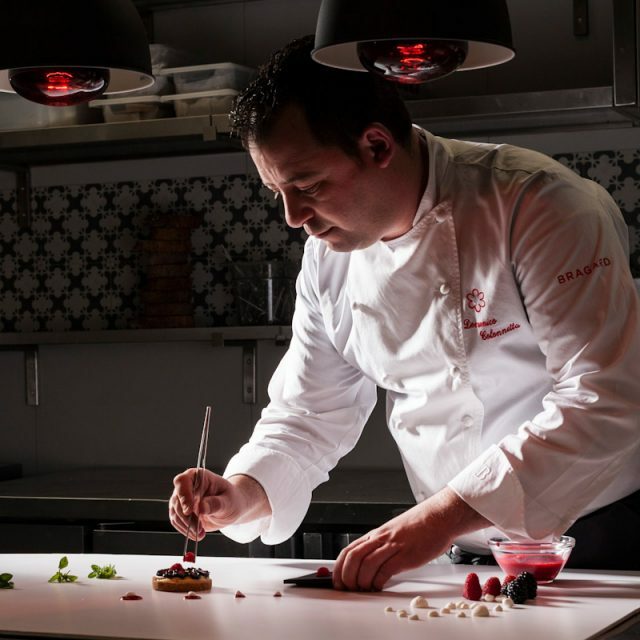 After having studied at the Hotel Training Institute in Giarre (CT), at the tender age of fifteen, Francesco began his career working in various hotels and restaurants – including the Grand Hotel Excelsior in Catania – growing personally and professionally, and honing his techniques. Starting in 2002, he has worked at the Hotel Monaco & Grand Canal in Venice, and then at the Masseria degli Ulivi in Noto, and at the Restaurant La Gazza Ladra in Modica, in the role of Chef de Partie. In 2005 he began working with Ciccio Sultano, where he worked as second Chef, and where he met Domenico. Together, in 2008, they opened the Ristorante Coria.